The only change is permanence. In Andriano, for example, you are not simply drifted in the current of time, but you are able to recognize your change and to develop with it. 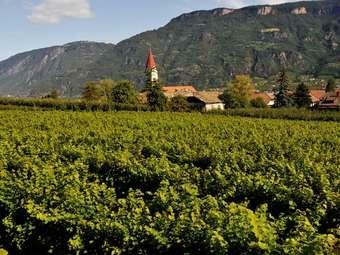 In 1893, the Andriano winegrowers took the pioneering step and concentrated their energies on the first cooperative winery in South Tyrol. With diligence and intuition, they worked constantly on a quality that can exist in time - an endeavor that has been continued since 2008 under the protective hand of the Terlano winery. James Suckling 91"A tangy and fresh white with slate and sliced lemon rind aromas and flavors. Medium body, bright acidity and a long and flavorful finish. Drink now."